As virtuoso musicians and members of Sam Gopal’s Dream, Andy Clark and Mick Hutchinson were well-known to regu- lars at legendary London clubs such as UFO and Middle Earth when they decided to branch out as a duo. 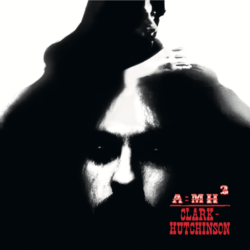 Recorded in two intense overnight sessions in May 1969, A=MH2 is a scorching blend of jazz, raga, blues and psychedelia that has long been established as one of the key recordings to have emerged from the UK psychedelic underground. It’s presented here as a two-disc set, together with their March 1969 recording debut, an unreleased collection of acid blues that features some equally stunning musicianship.